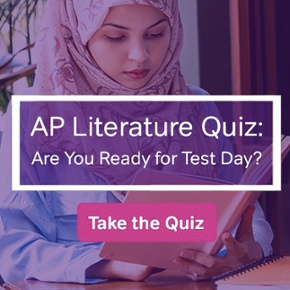 The SAT has undergone profound changes: four answer choices have replaced five, vocabulary exercises have been banished, the essay nearly so (it’s optional now), and the sections are much longer. Amidst all this chatter, however, let’s talk about how the math section has changed and has been relatively muted. 1) The SAT has become less of a logic game/IQ test and more of a direct measure of how well you remember the math you learned in school. Going over math questions on the SAT in class, I’d usually get a couple of “a-has” from my students (so that’s what it was asking for). The test was wrapped up in relatively straightforward math, with tricky wording and confusing diagrams. 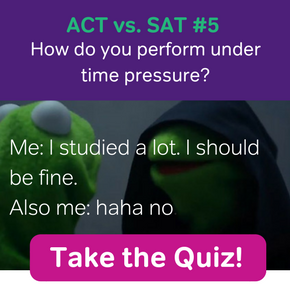 As soon as you saw what the test was asking for or saw that one little “trick” needed to solve the question, the test became easy. 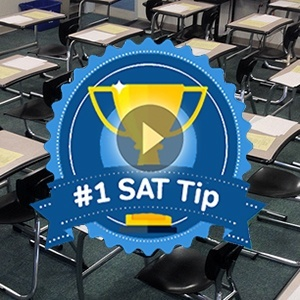 With the new SAT, you’ll likely have to write out more steps. And if you don’t remember a specific concept, you are likely to get the problem wrong. Know the concept and things will fall into place. Granted, there won’t be a whole lot of trigonometry but compared to the zero trig on the old test, the couple of trig questions you’ll see test day is something you’ll need to prepare for. There will also be a lot of high-level polynomials and you will have to face off against a couple of questions that can only be solved by using the quadratic formula (yes, you’ll need to memorize this). While the SAT was never short on word problems, the test writers have really stepped it up with the latest test, including word problems as long as twelve lines. In one section, there were eleven problems in a row that had at least 5 lines. Essentially you might be doing more reading than “math-ing”. But if you pay attention to the underlying math to a question you’ll be able to eliminate a lot of unnecessary words. Back when I was young, the SAT didn’t allow a calculator on any part of the test. 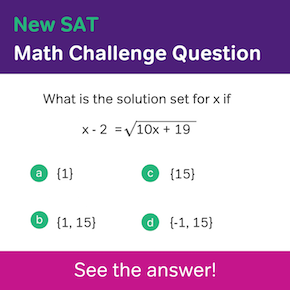 Times changed and the SAT cared more about your ability to understand mathematical concepts than to do arithmetic. Well, apparently times have changed back again, somewhat. You will only be allowed to use a calculator on one of the two math sections. In this math section, you might be expected to do stuff like figure out the exact figure for a sum of money compounded semiannually for four years (the set up would look something like this: 100(1.025)^8 and good luck doing that in your head!). The no-calculator section will thankfully offer up tamer specimens for mental or pen-and-paper math. Still, it might be a good idea to start doing mental math drills or practicing long division on paper. I know, that might sound like a drag, but that’s the way the test is changing. My inner teacher, however, is saying that knowing how to crunch basic numbers is a basic facet of life, even with a smartphone constantly at your fingertips. So don’t tell yourself you are learning a worthless skill. Or, if you can’t convince yourself otherwise, know that you’ll still have to be on your “number game” come test day.